"When dogs go missing, one boy will find out why. " "And the answer is out of this world." Nothing gets past Logan. When he observes that the neighborhood's dogs are mysteriously vanishing, he suspects nothing less than a full-scale alien dognapping invasion. The adults don t believe him, of course, so he enlists his friends to investigate and soon they make a shocking discovery. Now man's best friend needs help. Fast. Suddenly, Logan and his team are on a mission unlike anything known to man. 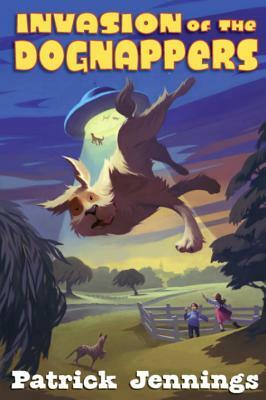 A hilarious, heartwarming tale of hound-saving heroics, "Invasion of the Dognappers" will be gobbled up by middle-grade readers. "Patrick Jennings" is a master at crafting stories that kids just love. His previous novels include "Guinea Dog" and "Lucky Cap." He grew up in Indiana, later moved to Arizona, and now lives in Washington State. Visit him online at www.patrickjennings.com.